The Action Pad by Skream is a third-party controller for the Sega Dreamcast. It is essentially the same as a standard pad, but with added turbo features and and buttons, doubling up as and . 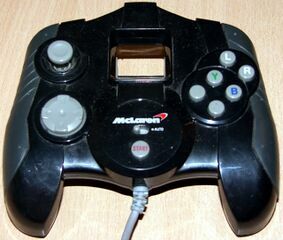 A variety of colours were made available and the controller was also sponsored by McLaren, presumably with racing games in mind.